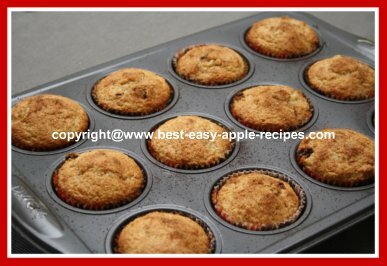 These Muffins with Applesauce and Oat Bran are healthy, wholesome, apple muffins - perfect fruit muffins for breakfast, lunch, or snack time. By including applesauce as an ingredient, these muffins require only 3 tablespoons of vegetable oil! 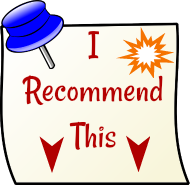 Great muffin recipe for dieters! These muffins are scrumptious, especially when eaten warm with a cold glass of milk or a cup of coffee! Yummy! Use purchased or homemade applesauce for this recipe. 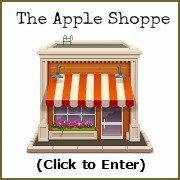 Have you ever made applesauce? It's fun and easy, and MUCH better in flavour! In a small bowl, combine the sugar, cinnamon, and the chopped walnuts. In a large bowl, combine the oat bran, flour, sugar, baking powder, salt and raisins. In another bowl, beat the eggs lightly with a fork. Stir in the applesauce, milk, and the oil. Pour the egg mixture into the dry ingredients, and stir just until combined. DO NOT over-mix. Spoon the batter into greased, or paper lined muffin tin, filling 3/4 full. Sprinkle the tops with the sugar, cinnamon and walnuts mixture. Bake Muffins at 425 ° F for about 15 minutes. 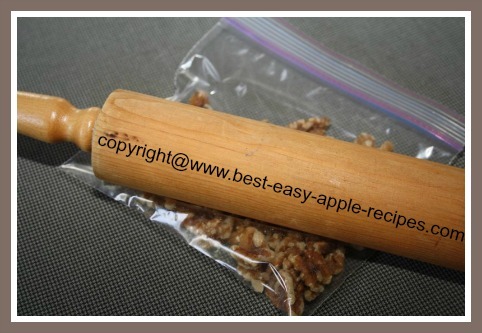 If you need to chop/crush the walnuts, or other nuts, simply place the whole nuts in a plastic bag, or between sheets of waxed paper, and crush nuts with a rolling pin (see below).